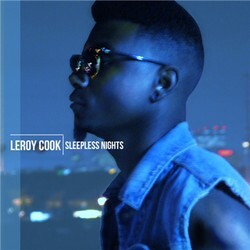 Leroy Cook’s Sleepless Nights is a seven-song project from the singer that shows off is R&amp;B talents throughout the EP. The title track is more of an introduction to the album and is set around a vibe with memorial lyricism. Track 2: “Last Night” set the tone of the EP more so than the title track with its upbeat sound that could be deemed as a club banger. The album moves into a slick, silky mold with the breathtaking “Kindness for Weakness.” If I had to chose a single to play on the radio it would for sure be track 3: “Kindness for Weakness.” The production, lyrics and vocal performance on that track is remarkable. A sweet love song that makes me want to hit the dance floor and dance with Him. It’s a song that I can for sure hear in the radio and sing-a-long to. “Last Night” is another hit that needs to be on the radio. With it’s pop music vibe Cook reaches more than one demographic with this track. I would love to see a music video to this song! “Knockout,” “Let’s Ride,” and “Comeback” all embodies the same sensual theme as the tone of the album becomes more after hours than the previous songs. The last three tracks winds down the album and allows Cook to show his balladeer of music. Track 7: “Feel It (Outro)” is by far my favorite track on Cook’s EP. It may be because I hear a hint of Common in the track. This being Leroy Cook’s first EP, Sleepless Nights is noteworthy for those who like feel good music and music that has meaning. I hope Sleepless Nights receives the recognition it deserves. Each track on the EP is a dope track. Sleepless Nights is superbly produced and tops many local R&amp;B artists work. Houston is lucky to have an up and coming R&amp;B artist such as Leroy Cook; this EP is a hit. I definitely look forward to Cook’s next project after this one. Edward “Leroy” Cook was born and reared in Houston, Texas. He attended and graduated from the public schools in Houston for his elementary and secondary education. Leroy is a graduate of Prairie View A & M University located in Prairie View, Texas. He earned a Bachelor of Science degree in Business with emphasis in Marketing. Leroy has had close connections with the church since he was a small child. He was introduced to singing very early in his childhood. His first solo presentation was “His Eye is on the Sparrow”. This was the first public presentation that permitted him to realize his dream of singing professionally. 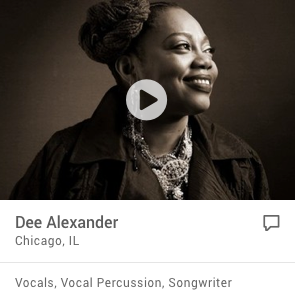 In addition to singing, Leroy is currently a member of the music staff at Mc Gee Missionary Baptist Church serving as percussionist/drummer. Leroy has always served as a music leader during his elementary, junior high, and high school years. During the years when he was a participant in the school band, he served as the drum line leader. Music and performing professionally is the greatest aspiration in life for Leroy. He continued to perform locally in Texas and nationally in the United States. His experiences singing with the Fort Bend Boys Choir in Houston, Texas provided many opportunities to travel and sing. Some of his travels include, but not limited to, Italy, the Vatican, England, and the White House. Choir members selected Leroy to represent the Choir at a White House Christmas event in Washington, D.C. The President during that time recognized the Boys Choir nominee. Membership in the Fort Bend Boys Choir afforded opportunity for vocal lessons, annual vocal training camps, and development of the necessary skills to read and play music. 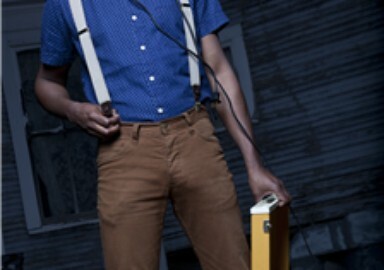 Music was quite a rewarding experience during college years for Leroy. It was at Prairie View A & M University where he met individuals who also had a passion for singing and performing professionally. Leroy was able to be part of a gospel group, Michal Dixon & Viszion, Baptist Student Movement (BSM) Choir, and the University Chorale. Groups consisted of students from Prairie View A & M University. In addition to the group performance, Leroy coordinated different groups and performances. By invitation, Leroy would perform at talent shows, pageants and awards events, homecoming, Spring Fests, and banquets. His skills in music were also enhanced to a higher level. Leroy is an entrepreneur. He is the President and CEO of his recently formed company, Cook Entertainment, LLC. He completed his first EP project entitled “Sleepless Nights”. The EP was released in June, 2013 and a video from one of his songs from his EP entitled “Kindness for Weakness”. Leroy’s DREAM is to create and share positive music! His goal is to reach the world by singing music that will touch everyone in some way. Leroy is excited about the opportunity to share his message through song around the world. It is his hope and prayer that a song or a verse in a song he presents to the world will touch YOU, the reader of his Biography!